So, you have decided—either out of desire or necessity—to implement a social selling program within your organization. You have come to the conclusion that leveraging social media and content marketing to identify, engage and convert prospects into customers is absolutely necessary. While you should be commended for your forward thinking, there are number of things to consider and actions to take before and during the rollout of your program to ensure success. It is not about exhaustive planning, but rather, about considering and working through key elements that form the foundation of the program, and avoiding being overly disruptive to current policies and procedures. The following are just a few suggested steps for successfully rolling out a social selling program; we welcome additional or different ideas in the comments section. While you and your team within may believe that rolling out a social selling program is a good or a necessary thing to do, others within the organization may not feel the same. What is the current mindset of your organization? Are people okay with the status quo? Is there any sense of a “burning platform” mentality that would provide some potential urgency to support a social selling program? If people do not feel the need, the desire or the urgency to take on something new, you will be facing an uphill battle. What are sales like now? What is the selling rhythm of your organization? When are your peak selling periods and should you be rolling out a new program during higher periods of activity? This is not to suggest that you shouldn’t move forward with your Social Selling implementation, but you do need to be mindful of the ability of the organization and the people within it to adopt new methods and processes in the midst of trying to do the job they have always done. Are there any other initiatives that are being undertaken within the company? How well are they being executed? How much air cover support would the social selling program have? Usually anything revenue-bearing easily gets a green light, but social media can bring a whole new set of issues to be considered and resolved. Many of the people involved in resolving those issues will have limited exposure to social media, which will hinder informed decision-making. The onus will be on you to educate and over-communicate to alleviate concerns and garner the aforementioned air cover support needed to successfully roll out the program. Consider whether breaking the program up into chunks would make it easier to be absorbed into the company. For example, if a program consisted of using LinkedIn, Twitter and a blog, would it be advisable to not do all three but to pick one or maybe two at the most and start slowly? 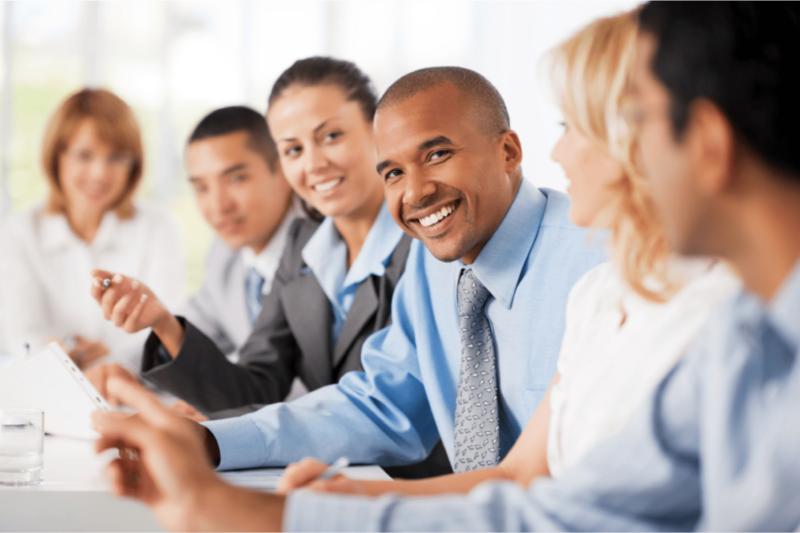 Only you and your colleagues know what your organization can handle. Hopefully your team will surprise you with what they are capable of taking on. How well do they work? How do staff feel about the way things are currently done? 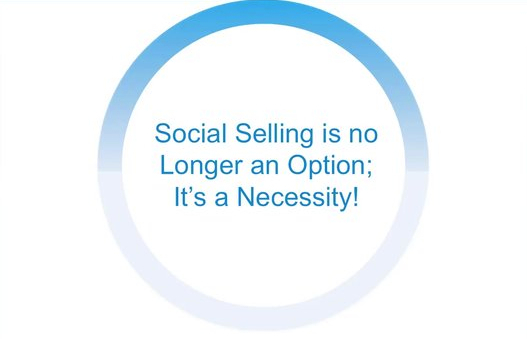 Is there an opportunity to improve things as part of the social selling initiative? What risks are there that the social selling program will make things worse? Will bottlenecks be created that will force staff to push things through with brute force only to have to fix things later? Or will people circumvent policies and procedures altogether for the sake of getting the job done? People love the path of least resistance, and social selling should be a “make more money” proposition rather than a “make more work” one. How do leads flow into and within the organization? 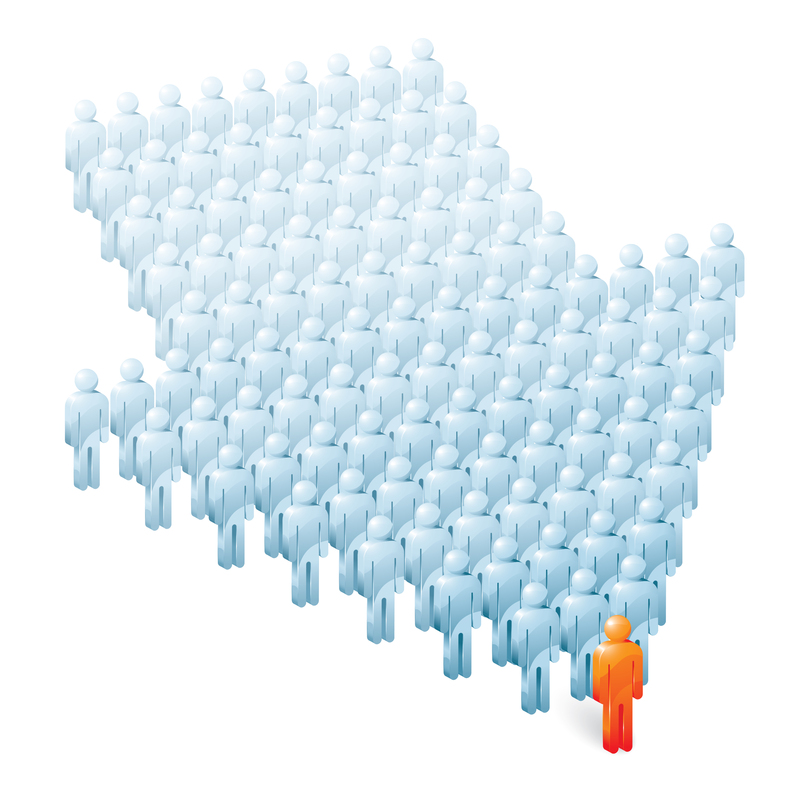 Do you have a CRM system in place, and if so, how well is it used by your staff? Do they regularly update the system so that management has proper visibility into the sales funnel? If you have both inside and outside sales staff or farmers and hunters, how well do they collaborate? Compensation is often thought to dictate behaviour; you must ensure that the adoption of social selling and the associated procedures do nothing to negatively impact compensation. You need to ensure that the flow of leads becoming prospects who are then converted into customers is smooth and that at no point does it become unclear regarding who generated the lead and ultimately closed them. If attribution of a sale and the resulting compensation will be difficult to determine, then any social selling initiative should be deferred until that is addressed. Social selling needs to be mapped to existing procedures as much as possible as opposed to rewriting an entire process from scratch. It is about complementing and extending the company’s current sales and marketing efforts rather than wreaking havoc on them. We have already discussed the importance of communication related to stakeholder and change management. We also need to look for what the Heath Brothers call “bright spots”—signs of people already exhibiting the desired behaviour, or at least the willingness to be first in adopting the new behaviour. Peers learning from peers because they have witnessed the success they are having will go a long way in supporting the adoption of social selling. You can’t thrust this upon them. People will fall into three groups along a bell curve: the first will raise their hands and say “count me in”; the second will be indifferent; and the third will say “I don’t want to and you can’t make me.” You need to leverage those on the right side of the curve who jumped in and found early success. With them sharing their experiences and what worked and what didn’t, some of the naysayers will be won over and the social selling program will broaden its reach within the company. If the company has a spotty record of measuring performance, this could present problems for rolling out social selling. At least initially there is going to be some heavy lifting required to get a social selling program up and running. If you don’t establish some key metrics to track progress and inform adjustments to your efforts, your program could become a colossal waste of time. Which channel generated the lead? Is social driving more traffic to your website or specific landing pages? How well is your site converting, is your community growing, what is the level of engagement, and how far is your content travelling? Ideally, can you draw a straight line between content you produced and shared that led to a subsequent sale? That’s what you need to be striving for in terms of metrics and supporting measurement processes. There are a number of valuable insights that can be derived from ongoing measurement. You will know how well your content is being received, how well you website is working, and what channels are working best or not at all. Social selling is not an automated thing. You need to staff it and track performance on an ongoing basis to constantly refine and improve your efforts and, ideally, drive more revenue. A social selling program needs air cover support from leadership, but it also needs support in a number of other ways. Content is one of the biggest areas of required support; salespeople and marketers need content, their own and from other sources, to feed the beast. People come to a blog, your feeds on Facebook, LinkedIn and Twitter to see new content you have created or shared. You need to be pumping out content daily, and that can be daunting for most organizations. Thankfully, most organizations have no shortage of content and stories to tell. They just need to work on taking existing content and modifying it to fit whatever channel it is going to be distributed through. For example, a whitepaper can be a standalone asset that can be shared via download in response to a call to action and thus generate a lead. That same whitepaper could be summarized and form the basis of a blog. Highlights from that same whitepaper could be the headlines in several tweets with links to download the whitepaper. You can create brief videos on YouTube, Instagram or even Vine to mention something from the paper. Do you see what I mean? One digital asset is repurposed in multiple ways. You don’t have to create something new and unique for every channel. Having said that, you still need people modifying existing and creating new content for distribution. You need to compile sources of approved content that complements your own without directing attention or traffic to competitors. Do not underestimate the importance of compiling a substantial inventory of content. Also, you need to ensure proper communication within the organization so that social activities and content planning are aligned with other marketing, PR and communication activities. Beyond content, salespeople and marketers need support with things like education. While they might talk amongst themselves to share what has been working for them and what challenges they have experienced, they need ongoing training and access to information, technologies and services in order to stay on top of their social selling game. Social media and social selling is evolving rapidly. Some services are being introduced and adopted faster than ever before. Companies are adopting social selling for a competitive edge, but if they are not diligent about staying informed then that edge could be fleeting. We’ve discussed specific issues related to social media and social selling, but it is really about the broader adoption of new policies, procedures, performance metrics and ongoing support that come with any new program or change management initiative. If you are the one evangelizing social selling and leading the charge then be sure to spend more time upfront assessing the organization’s readiness, where potential roadblocks might occur, and which stakeholders require the most information and handholding to give them comfort that what you are proposing will be good for all concerned. No one ever failed because they over-communicated. Andrew – will share this article with the sales leaders we are working with. ExecNote TeamExecnote Thanks Jen. I appreciate the kind words and the support through sharing. I will be sure to check out Brent’s post.